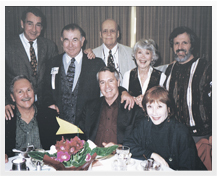 Marvin was working on a film he wrote and in which he had a small part when he died. It is called, "Lookin' Up". The film was finished under the careful direction of Johnny Crear. The movie stars Steve Guttenberg of "Ballers" fame and a lot of other work..
Don’t miss this “gray comedy” film, written and produced by Marvin Kaplan. 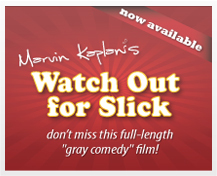 An award-winning, full-length film, Slick will keep you laughing … and keep you guessing! Are you passionate about the theater arts? If so, you’re in good company. 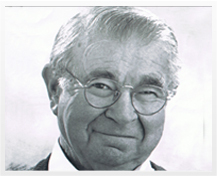 Marvin Kaplan created the Kaplan-Loring Foundation to support comedians, songwriters, composers, lyricists, and more.